Arguably one of the most important developments in applied mathematics in modern times is the Fourier transform. The Fourier transform is a mathematical operation that takes any waveform and breaks it down into individual component sine waves at different frequencies and amplitudes. These are then represented by peaks in a frequency spectrum, and this whole process is called spectral analysis. A waveform as a summation of many simple sine waves is a concept seen in all oscillatory physical phenomena, including electromagnetic radiation, AC electricity, rotational motion, and the most important one for our purposes… sound. Let’s dig in. Sine waved are mathematical functions defined by their frequency and amplitude. Frequency is how many full cycles (one peak and one valley) occur per second, and is measured in the unit Hz. The amplitude can be many different things. With AC electricity, it can be voltage, power, or current. With light and electromagnetic radiation, amplitude represents photon energy. And with sound, it can represent dB or Decibels, which is basically a measurement of sound pressure. This illustration shows a sine wave oscillating up and down in a periodic manner, reaching a minimum and maximum amplitude once per cycle. 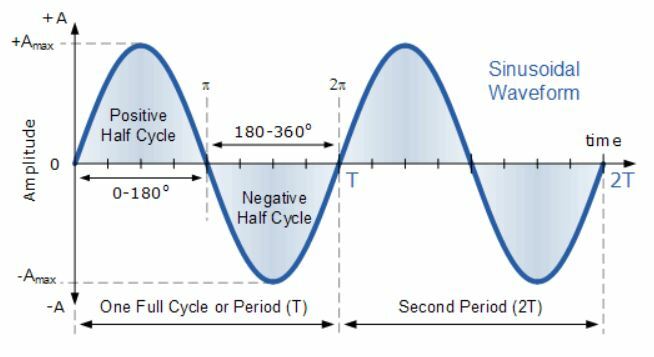 Every time the sine wave crosses 0, one-half of a cycle has passed. The x-axis is time progressing forward. We’ll do a little experiment and add the following sine waves together, and see what happens. By add, I mean combine these waves with each other in time to create a more complex waveform. We can see that it’s changed things up considerably. The new wave contains all three original sine waves and sounds much different than any one alone. This is similar to playing several keys on a piano at once to create a new sound altogether. What we’ve just done is the exact opposite of what the Fourier transform achieves. We’ve added sine waves together. Now, let’s split them up them using a spectrum analyzer. A spectrum analyzer performs an FFT (Fast Fourier Transform) operation on an input signal or waveform. It then displays individual sine waves in a frequency spectrum with their amplitudes represented as peaks in the spectrum. We use this technology extensively in many fields of science, research, engineering, and industry. Maintenance technicians use it to point out faults in rotating machinery. Astronomers use it to figure out which chemical elements are present in stars. And musicians use it to sculpt a simple musical idea into a badass track. 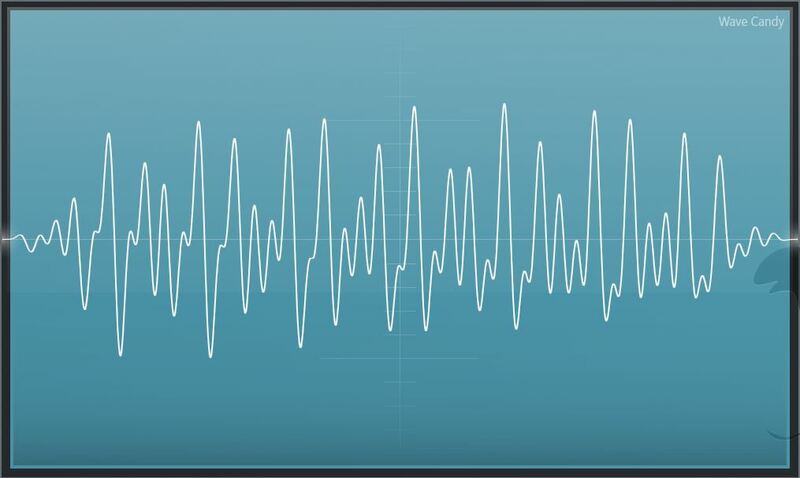 Lets take a look at what the above waveform looks like in a spectral analyzer. 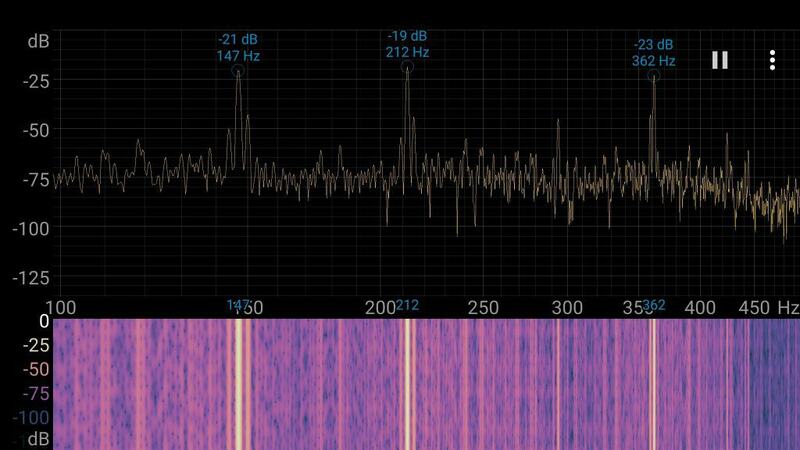 I took the screenshot above from an Android app called Spectroid which is a spectrum analyzer that uses your devices microphone to pick up audio as the input signal. I then played the combined waveform through my speakers. The y-axis is our Decibel level and the x-axis is frequency in Hz. You can see the three peaks that formed out of the noise at 147 Hz, 212 Hz, and 362 Hz as expected. I set them at the same volume, so their dB levels (peak heights) should be the same or pretty close. You may be wondering what the pink and yellow thing is down there. This is called a spectrogram, and is just another way of displaying the peaks in the spectrum. The main differences are in the display and the fact that it records a “trail” of the FFT over time. Since there were no changes in frequency as I played the waveform, the peaks appear as straight lines. The scale on the left is telling us that bright yellow is a higher dB level than pink and purple. Many DAWs have spectral analysis plugins that we can use to determine which frequencies and how much of these frequencies are present in an audio signal. This serves as a compliment to your studio monitors. Our speakers and ears can give us a good idea, but this shows us hard data that we can use to make informed decisions and changes to improve our production. When coupled with an equalizer such as in FL Studio’s Fruity Parametric EQ 2 plugin, this powerful tool can be used to first identify and then attenuate or boost specific frequencies in any audio signal. This is a key part of the mixing and mastering process. Hey Bailey, the theme is called Onyx by Ecko.